Over the weekend, we celebrated the grand opening of our new store in Denver, Colorado in true Hawaiian style. The store, which is in the Lowry community at Hangar 2, is the site of our hands-on franchisee training program and is our first company-owned location. To celebrate, we threw a luau featuring authentic Polynesian dancers and two hours of free smoothies, coffees, and teas. We had a prize wheel with some amazing giveaway items and thanks to the Photo Love Bus, we had so much fun putting on silly props and taking photos in an original VW Bus. 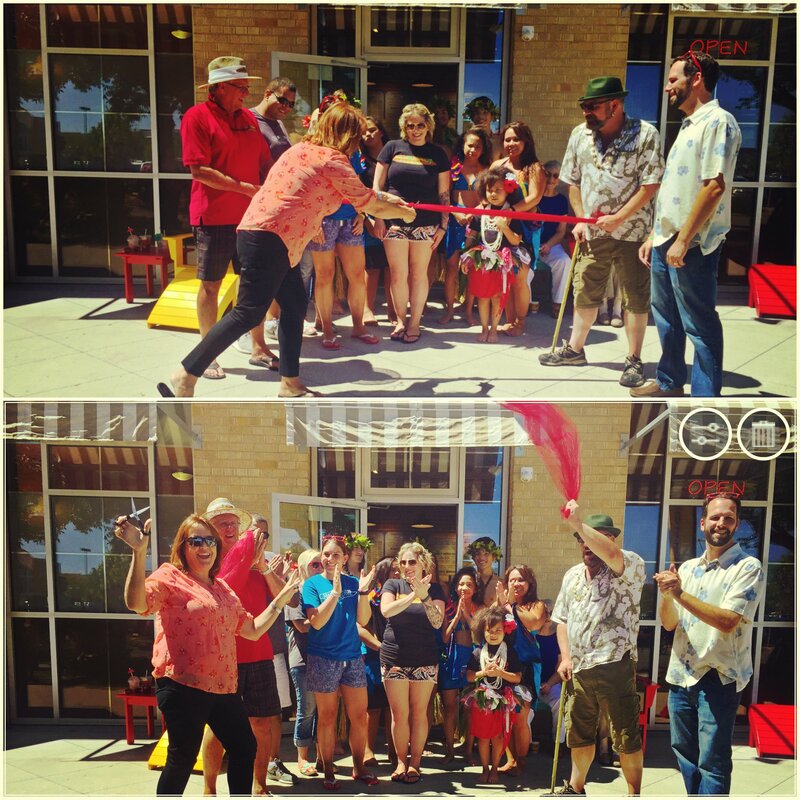 We kicked off the event with a ribbon cutting ceremony with Founder Jill Summerhays doing the honors. Once it was all official, we got the party started with some live entertainment. The dancers ranged in ages and put on a fantastic hula show that took us through a journey of the Polynesian Islands. Guests also enjoyed lots of free smoothies and hung out, sipping them in the Colorado sunshine. We want to send a big Mahalo to everyone who came out to support the new store and our ‘ohana for putting together an amazing day. Maui Wowi looks forward to becoming the Lowry Community’s number one choice for premium Hawaiian coffee and fresh fruit smoothies. Cheers! 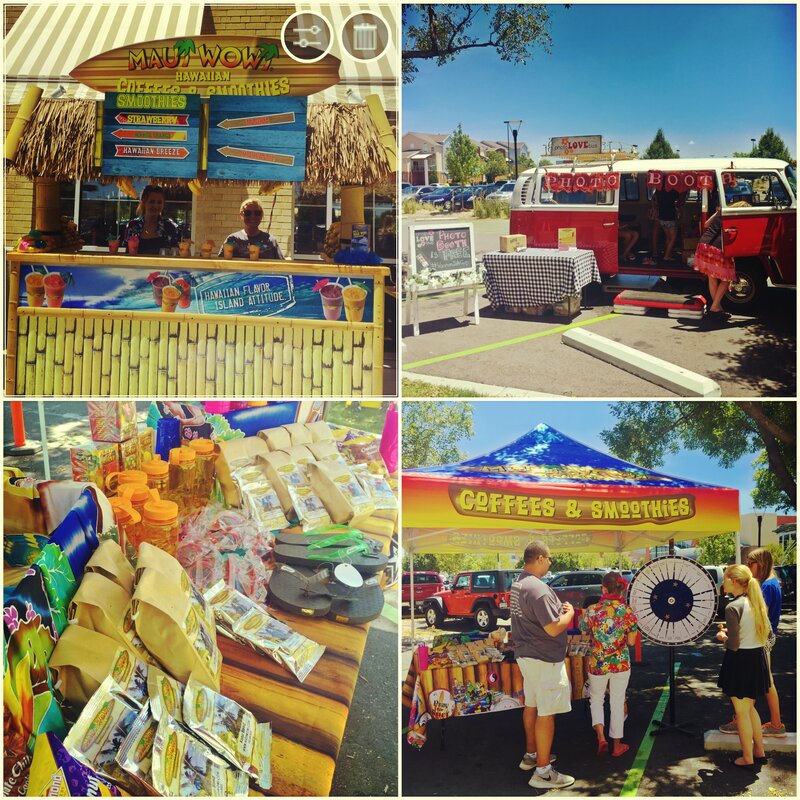 This entry was posted in Maui Wowi Posts and tagged Denver, event, Free, Grand opening, hula, Lowry, luau, Maui Wowi, photo love bus, polynesian dancers, smoothies, Store, VW bus. Bookmark the permalink. ← Meet our New ‘Ohana! 4 Years and Phelan Good! Veteran Tribute Video Airs on Fox! What Do Cookies and Franchising Have in Common? Community is Our Mid… on Team Karma Gives Back!